Today was the prologue. The prologue is a time trial race that’s very short. During a time trial, they start the riders off one at a time every couple of minutes and time them as they compete on a set route. This will initially establish a time for all of the different riders. Today’s prologue course was only about 4 miles long. 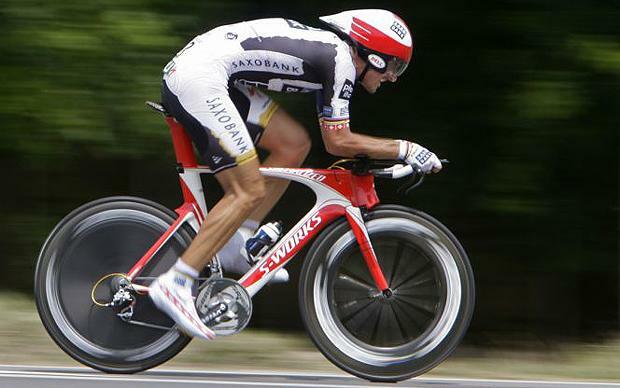 Fabian Cancellara, who is widely considered the best racer at these shorter time trial courses, won today’s stage. See? He just looks fast. This was not difficult to predict though. He’s a specialist and usually wins these types of stages. Tomorrow’s stage is a series of rolling hills over 120-some miles. The finish however, is the key. A short and steep uphill finish will likely prevent the traditional sprinters from winning. 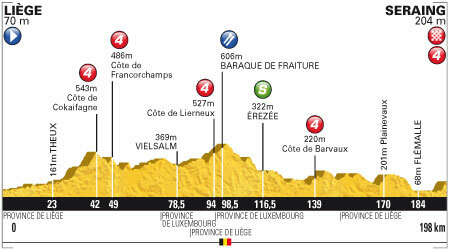 I favor Philippe Gilbert or Peter Sagan to attack on the final climb and get the win tomorrow.